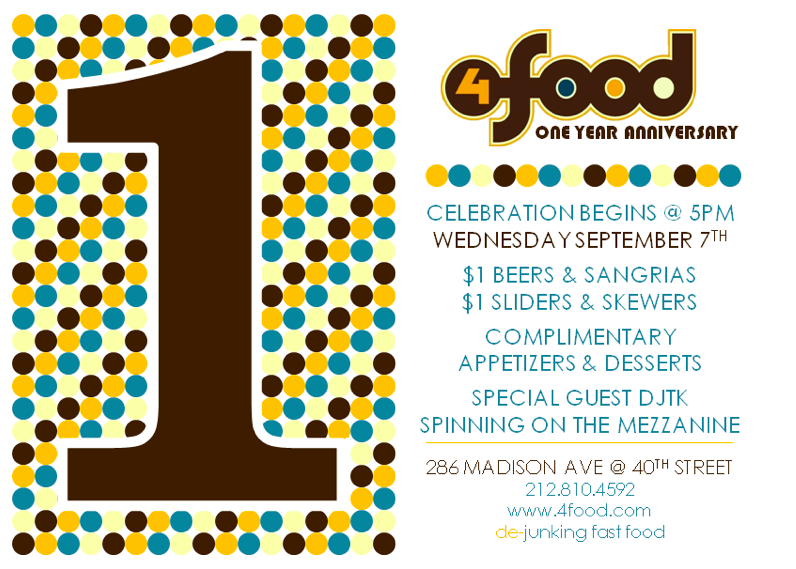 4Food is celebrating their one year anniversary today with a plethora of cheap and free goodies. Stop by starting at 5 pm, end time unknown. 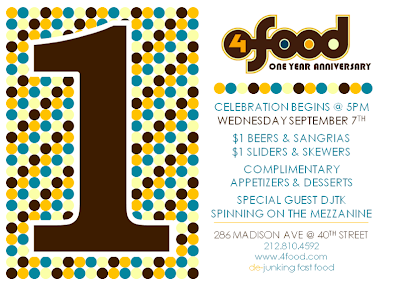 BONUS: Read our review of the delicious 4food HERE. Dejunking fast food is delicious.